The bombshell news relating to Apple’s plan to release a new version of OS X called Mountain Lion will no doubt come as a huge shock to many, and you will all be forgiven for still being in a daze considering it was only July of last year that the current OS X Lion was released. The ninth release of Mac OS X, Mountain Lion, is set to land in the Summer and brings functionality and feature enhancements inspired by Apple’s popular tablet device, the iPad. Mountain Lion is all geared up to bring Notes, Reminders, Game Center, Notification and iMessages to the Mac which signals the beginning of a fusion between OS X and iOS. Everything that users can expect has already been covered, but Mountain Lion is an OS which Apple claim has been "Inspired by iPad, re-imagined for Mac", and will feature deeper iCloud and Twitter integration as well as AirPlay Mirroring, and several familiar iOS applications with enhanced security features with Gatekeeper. 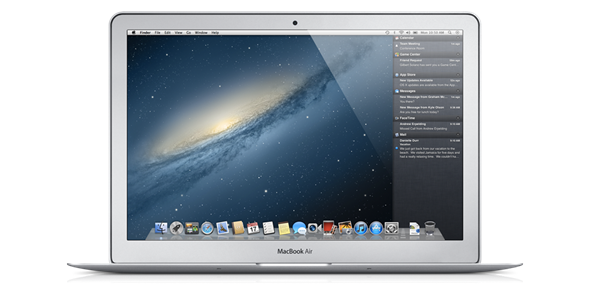 The developer preview of Mountain Lion is available to download for registered OS X developers, with the new Messages application being freely available for OS X 10.7.3 users in beta form directly through Apple’s website. Apple have also published a dedicated Mountain Lion preview page which outlines all of the new features in typical Apple format containing beautiful renders of the new operating system as well as feature descriptions. 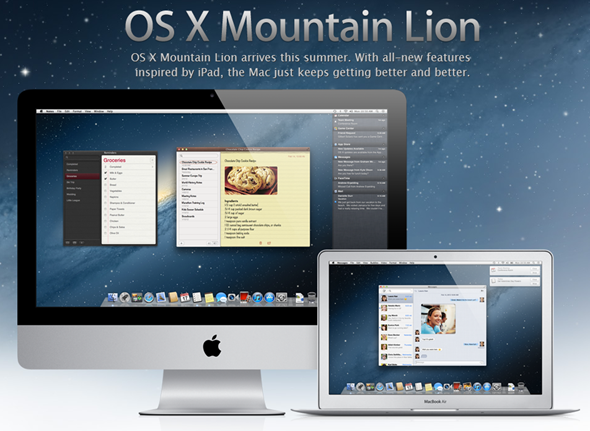 They have also published an official Mountain Lion video on their website which outlines all of the main new key features in the operating system which they believe will enhance the experience for all Mac users. Judging by the video, and the list of added features and applications, they weren’t joking when they claim that Mountain Lion has been inspired by the iPad. OS X 10.8 has a very ‘iOS’ look and feel to it, with immediately recognizable features such as the Notification Center, the Reminders app and the ever familiar Notes application which has been present on iOS since the beginning. One of the most interesting features of Mountain Lion in my opinion is the ongoing integration of Twitter, with the now familiar Tweet sheets being present throughout the newest OS, could we see this relationship developing further in the future? Make sure you check out the video to see all of the new features.